The Israeli historian Shlomo Sand has made some interesting observations about the current status of Muslims in Europe. He says that for 100 years (roughly 1850-1950) Jews were used as the alien threat to the national integrity of newly emerging nations there. Anti-semitism or, as he more accurately calls it, Judeophobia, arose at the same time strong nationalistic movements were coming to a head. The national myths which accompanied those nationalisms (Sand, quoting Ernest Renan among others, would say the myths actually created those national identities) harkened back to a fictional ur-people – Gauls, Teutons, Anglo-Saxons, Romans – from which the present population derives its identity and its peculiar character. Jews, in the mid-19th century seen for the first time as a race rather than just as a religion, did not fit into these narratives. In fact, they provided convenient enemies, threats from within to the purity of the national identity, a “sang impure,” to quote from the Marseillaise. This fantasy of a homogeneous people played itself out most dramatically in the brutal stupidity of Nazism and other less comprehensive attacks on Jews throughout most of Europe, especially in those more easterly parts of the continent where blood – what we would now call genes – determined which nation-state you belonged to. In the west, France and England for instance, citizenship became a matter of choice rather than birth. But even in the west animus against Jews continued on an unofficial level. By mid-twentieth century, Sand maintains, this wave of anti-semitism had played itself out. Jews became what they had always been in the West: French, British, Americans who happened to practice a different religion. It’s not that everyone suddenly started loving Jews, but official, state-authorized discrimination against them disappeared. In some places (France and Germany, e.g.) speech hateful of Jews became illegal. The idea in Europe of a “Judeo-Christian” culture took root. But the notion, however fanciful, of a national bloodline for many people has persisted to this day. Foreigners – North Africans in France, Turks in Germany – have taken the place of Jews as the unassimilated alien, a kind of fifth column whose intentions are suspect at best, terroristic at worst. And, unlike the Jews of the nineteenth century in western Europe, they do not live among other French and Germans but in ghettos, the suburbs of Europe that correspond to America’s “inner cities.” Unassimilated, ill-educated and in France accounting for six times their percentage of the population in the prisons, they are seen as aliens even to the second and third generations. And, simply by the fact of their being Muslim they are associated with violent extremist groups like Al Qaeda, though very few actually become operatives for such organizations. Ergo Charlie Hebdo, a publication that feels no qualms about degrading everything Muslim, including and especially what Muslims consider sacred. Only French casuistry can make the kind of arguments that have recently been made by and on behalf of that publication, portraying it as an equal-opportunity lampooner that it is only upholding the rights of unfettered speech fought for by the likes of Voltaire. Even a cursory look at the cover cartoons of Charlie Hebdo over the last few years indicates something more (or less) than good-humored, not to say intelligent, satire. And even 3.7 million French marching lockstep and carrying “Je suis Charlie!” signs (led by some of the world’s worst persecutors of free speech) doesn’t negate the despicable Islamophobia displayed in that publication. In fact, those 3.7 million French are proof of the dearth of rational thought, never mind toleration, in that country. Noam Chomsky, well before the Charlie massacre, pointed out that France has a very bad record of freedom of the press. Massive crowds of self-styled liberals marching in defense of massive prejudice and massive bad taste doesn’t prove otherwise. Popular perception of social phenomenon may be like its understanding of new scientific ideas. It’s said to require fifty years for a new concept like Relativity or Quantum Theory to enter the public consciousness. It’s just about fifty years since state-approved Judeophobia disappeared. How long will it take before we recognize that Islamophobia is just as ignorant and shallow a prejudice as vilification of Jews? Or that it serves a purpose as feral as the one provided by that earlier prejudice? We like to think we are beyond certain types of thinking and behavior. Yet, has anything essential changed about us thanks to the twentieth century’s bloodbaths? Look around. I still see nation-states paying lip service to international law while operating in the same fashion as the worst actors of the last century. I also see my neighbors, by which I mean most of the world, stuck in the same uninformed mindsets as their parents and grandparents, only with different prejudices and rationalizations tailored to conform to the accepted prejudices and rationalizations around them. What we are seeing play out today in Europe looks a lot like the old anti-semitism with a new victim as its scapegoat. Is this the best we can do? A march to defend the right of high-octane bigots to throw fuel on the fires of an already festering anti-Muslim bigotry in the land that gave us the Enlightenment? Diderot would be outraged. Voltaire, who is indeed in the first rank of those defending the rights of even the most outrageous use of free speech, would be firing off letters to the editor, denouncing Charlie Hebdo. 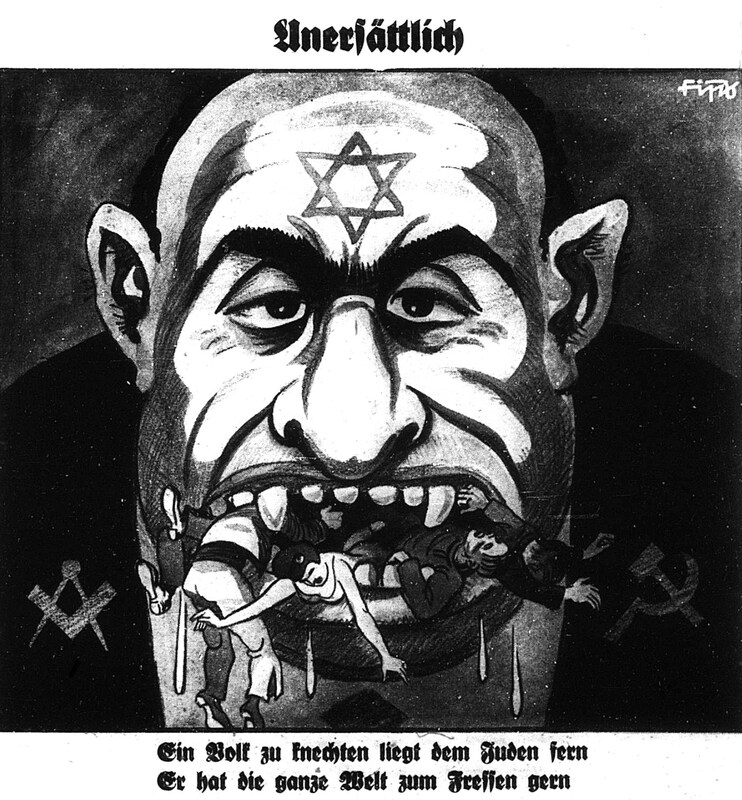 Do we have to make the comparison with what public opinion would have made of a gang of Jews angered by anti-semitic cartoons in Der Stuermer in 1934 storming into the editorial offices with Tommy guns and wasting most of the staff? Would 3.7 million Germans marching the next day to uphold freedom of the press seem as laudable as the march led by that front line of hypocrites and the million people carrying Je suis Charlie signs behind them? Not a fair comparison? Maybe, maybe not. But don’t kid yourself into thinking something basic has changed about human nature in the last eighty years. Fear of the other still runs as deep as it ever did, as does the herd instinct – even in la belle France. Posted on January 21, 2015, in Uncategorized and tagged anti-Semitism, Charlie Hebdo, Islamophobia, Shlomo Sand. Bookmark the permalink. 1 Comment. I wish I didn’t agree, but I do. 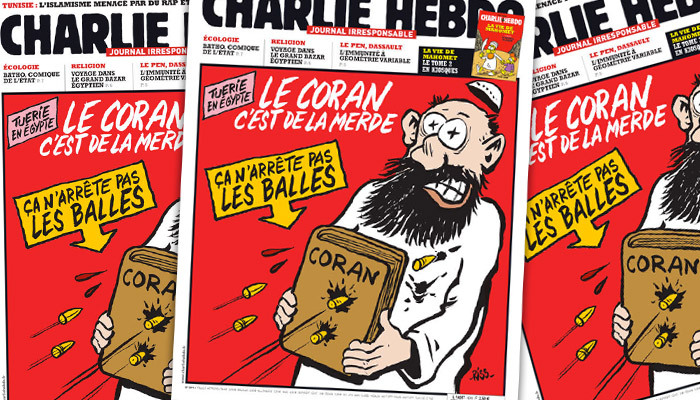 The irony about the Charles Hebdo massacres is that the magazine was close to going bankrupt. If the Paris attacks hadn’t taken place,the magazine could have been off the stands within a year. But still, as you point out: the Us and Them mentality runs deep; only the names change.